The only thing running wild in your fields this year should be this cat. 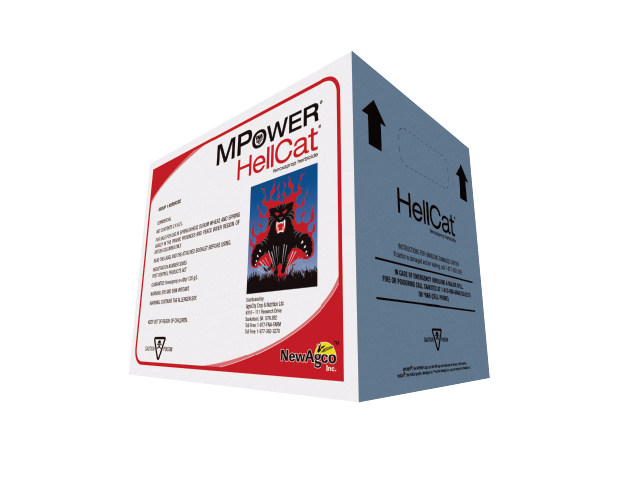 MPower® HellCat® contains the active ingredient “fenoxaprop” – the same active ingredient as found in products like Puma® Super, WildCat™, Bengal®, and Cordon™ – and is available at the market leading price. Group 1 mode of action. Tank-mixable for one-shot weed control. Consult your provincial Crop Protection Guide for more information on how to use products containing fenoxaprop.